Last year in November, with the support of Pro Helvetia and Swiss Music Export office, DongDong Event welcomed a delegation from one of the most renowned festival in Europe: Paléo. Every year since 1976, Paléo welcomes an impressive bill of artists and about 40 000 festival goers per day during 7 days in the tiny city of Nyon, Switzerland. July 2015 marked the 40th edition of the festival and they celebrated in style with a special focus on Asia. On this occasion,Paléo festival invited 7 bands from China: AM444, Second Hand Rose, Tulegur, Hanggai, Wang Li, Dawanggang and Shanren. 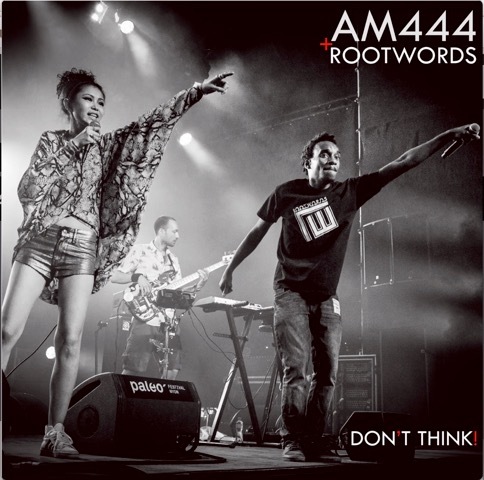 Amongst the chinese artists , AM444 was proposed a collaboration with Switzerland based Us Hip Hop artist Rootwords. What came out if their encounter is a super catchy tune called: Don’t think. Now with the help of the Switzerland Embassy, Rootwords has made it to China and will hit the stage of DDC this saturday! Another occasion to meet up and jam with vocalist ChaCha. Don’t miss that! In July 2015, as one of Europe’s most important musical events, PALEO festival In Switzerland invited 7 bands from China: AM444, Second Hand Rose, Tulegur, Hanggai, Wang Li, Dawanggang and Shanren! And with the support of the Embassy of Switzerland in China, Beijing-based photographer Aurélien Foucault (aka Foukographer) went to document this event to keep a trace of this exceptional event.The photographs he took are now put together into an exhibition called “China at Paléo”, opening at Dusk Dawn Club (DDC) on December 12th. Because music is at the center of the exhibition, we’ll celebrate the opening with a night of live music that will keep you warm throughout the winter night: MUSIC KNOWS NO BORDERS! In the line-up for the night, we have 3 artists who were actually at PALEO festival: inner –mongolian folk-rockers TULEGUR, Shanghai-wonder CHACHA (AM444) and the Geneva-based rapper ROOTWORDS who will come to China for the first time for the occasion! The night will also feature DJANG SAN, a staple of the Beijing scene who’s been building musical bridges between the East and the West for over a decade.